Solar power is considered an alternative power source, but in many sunny countries it can easily become the main source. Homes that produce more than enough energy to power themselves are able to sell the excess back to the power grid for a profit. Solar panels have a lifetime of more than 25 years. Once installed, they are simple to maintain by occasionally wiping the panels with a damp cloth to remove dust and debris. 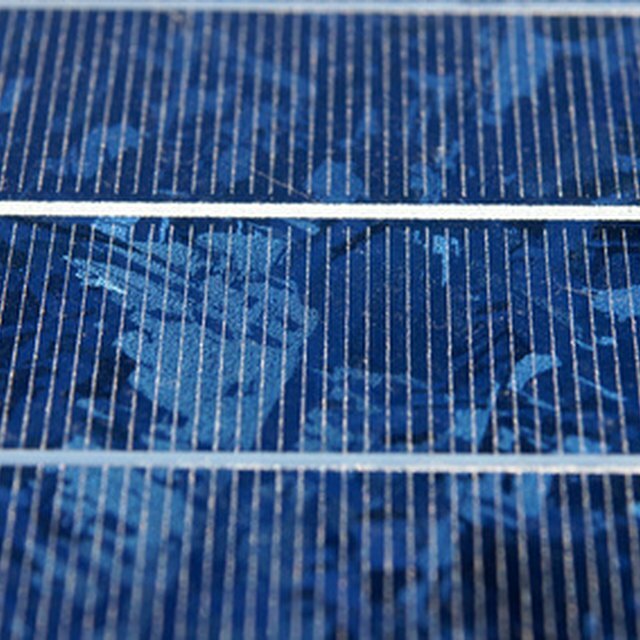 Ground-mounted solar panels can be adjusted to track the sun. Fix the solar panels in their location using the mount. This is going to depend on the type of panel and mount you have and where you plan on situating it. The most common type of panel is fixed to the roof using rails. Ground panels have a freestanding mount, which may be easier to set up if you don't have easy access to your roof, but it may need to be secured in concrete. Placing and angling your panels correctly is vital for producing the highest possible output. The panels need to be in direct sunlight for as long as possible. It may even be necessary to remove branches or other obstructions. Wire the solar panels to the charge controller. This will prevent the solar panels from damaging the batteries when they are producing high voltage. The wire used should be of the highest gauge possible to keep voltage losses to a minimum or, when possible, use the gauge size recommended by the panel manufacturer. Wire the charge controller to the batteries. This should be done using the same gauge of wire that was used in the previous step. Solar power batteries come in four different sizes: with voltages of 2, 4, 6 or 12. They can be combined to provide any output level of power or voltage. For example, wiring three small 6V batteries in series will increase the the battery size to 18V while keeping the current the same. Wiring the same batteries in parallel will keep the voltage the same but give three times more power. Install the power inverter. This piece is vital if you plan on powering household appliances, as it converts the DC (direct current) solar output to standard 120/240V AC (alternating current) that appliances and light fixtures use. There are two types of power converters readily available to the solar power user: modified sine wave and pure sine wave. The modified power inverter is usually the cheaper option, but it doesn't produce power as cleanly as the pure inverter, and may have difficulty running some appliances. The power inverter can be wired directly to the house's AC breaker panel (also known as the "fuse box"). From there the energy is made available to the plug sockets. It costs more to install a tracking mount -- so that the solar panel can follow the sun as it moves across the sky -- but it's worth the investment, since it will increase the output of the panel. All electricity can be dangerous. Contact a professional solar power expert before attempting to install solar power to your home if you are underqualified.